Returning to the Isle of Erillion, two of its small towns are presented in a manner inviting adventure, conflict, and player engagement. The Divided Town of Tirwas is an overgrown village in the north, where old communal customs clash with the rule of the feudal Landlords who have seized power and divided the town among themselves. 18 keyed locations are described with adventure hooks and NPC notes, and just enough detail to get going. 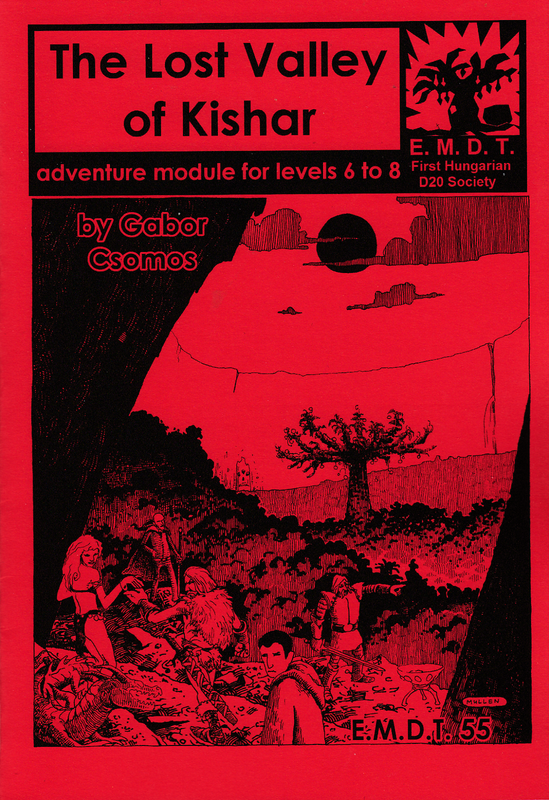 Further adventures await under Tirwas in Plunder of the Stone Sacks, a dungeon scenario for 3rd to 5th level (45 keyed locations). The Stone Sacks, a set of limestone caverns, were once used as a communal shelter from sea raiders, and are now used for storage, or lie abandoned. Yet strange things are afoot and there may be more to the place than meets the eye… Finally, in Sleepy Haven, everything is fine. Or is it? Visit the sleeping fishing community to find out (8 keyed locations). But that is not all! 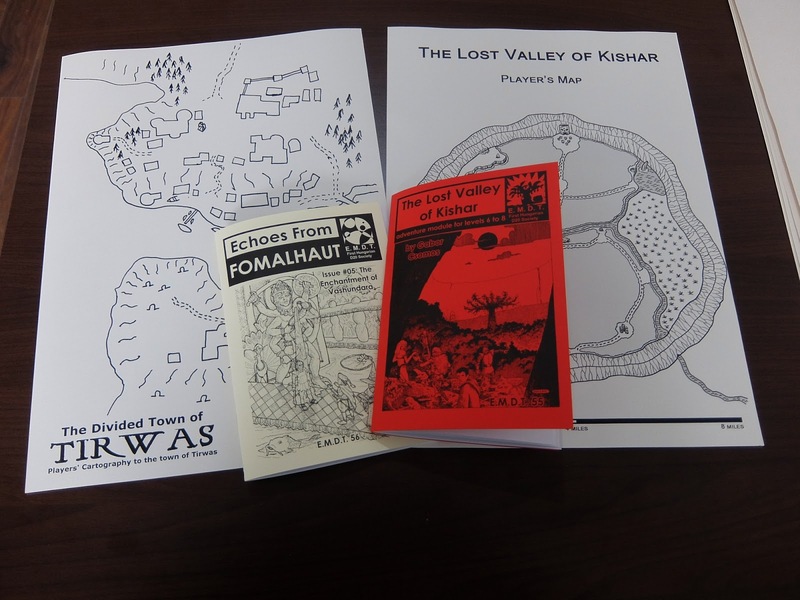 In addition to Echoes #05, I am also pleased to announce the publication of The Lost Valley of Kishar, a 32-page adventure module for 6th to 8th level characters, and the winner of the 2018 adventure writing contest. Venture into a lost world of savage beasts and ancient sorceries – and discover an old mystery from beyond the stars! Whether you have come for the strange fruits of an enchanted tree, in pursuit of a great winged ape, the gold of a lost temple or a magic mirror, glory and death await in equal measure in… The Lost Valley of Kishar! Ordered as well! Always excited for these. 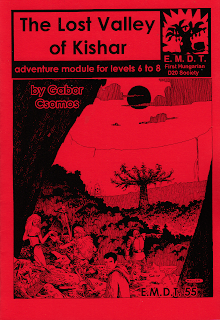 The Lost Valley of Kishar is amazing, but I might be biased since my character is on the cover. Well, if we're showing off our D&D module cover cameo credits, so is mine. And one of my OTHER characters is on the internal illustrations of Monastery of the Frog, and, IIRC, The Barbarian King. Impressive. I hope you have them framed on the wall. Can't wait to get these in the mail!